Subcontractors are individuals or businesses hired to perform a specific task when a person is building a house. When a person hires a general contractor to build the home, the contractor performs all the hiring of subcontractors himself. When a person chooses to be his own general contractor, the person must hire the subcontractors himself. Subcontractors are hired to perform a specific job at a predetermined price. Subcontractors should be licensed and bonded when hired and specialized in the specific field in which they work. Building a home requires the hiring of many different types of subcontractors. When a person becomes the general contractor for the home he is building, the person may choose to hire several different subcontractors to help the entire project run smoothly. A site supervisor is one type of subcontractor hired to be present on the job site at all times work is being performed. The site supervisor ensures that the subcontractors have what is needed and that the work is being done properly. This supervisor also serves as a liaison between the homebuilder and the subcontractors. A real estate lawyer is sometimes considered a subcontractor too. The lawyer ensures that the status of the house and construction process follows all laws and regulations within the county. One of the first subcontractors hired for the construction of a home is a subcontractor specializing in the construction of a house foundation. Foundations include building the house with a basement, a crawlspace or a slab. 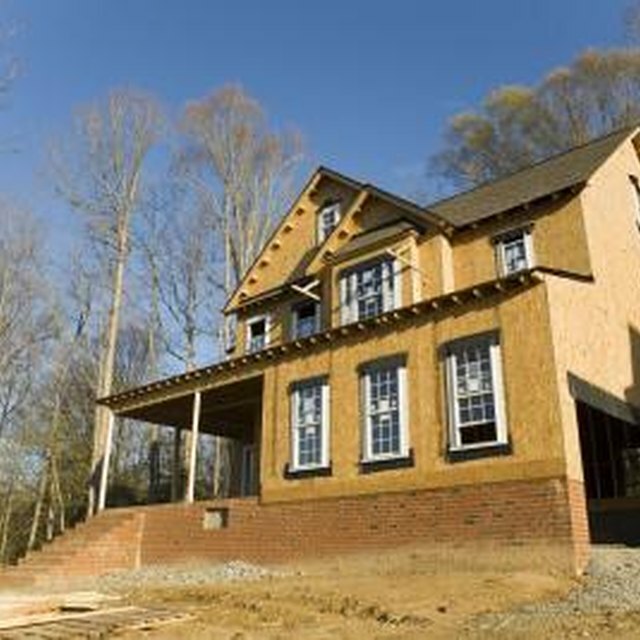 A framing contractor is one of the most vital subcontractors hired for the construction of a home. The framing contractor is responsible for framing the actual house itself. Many times, framing contractors also complete other work within the home as well, including cabinet installation and window and door installation. A new home requires the installation of many mechanical items. Subcontractors hired for mechanicals include electricians, plumbers and HVAC installers. Septic installers are also a type of subcontractor considered mechanical. After the home is framed and closed in, finish subcontractors are hired to perform various duties. A drywall subcontractor is one type of contractor performing finish work. After the drywall is complete, a painting subcontractor performs all the painting within the house. At this point, the mechanical subcontractors typically return to the house to complete their specified jobs. One of the last types of subcontractors hired are flooring specialists. This is includes the installation of hard wood, ceramic tile, carpet and linoleum. Several other types of subcontractors are also needed to complete the construction of a home. This includes a roofing contractor, siding or brick installer, concrete company for the driveway and sidewalks, and an insulation installer.